‘First impression is the last impression’ – Stands true when it comes to wedding invitations. The new day and age of e-invites and Facebook page invites has still not stolen the wind when it comes to traditional printed wedding invites. There’s something about the paper, the color, the gold and red lettering and the leaflets inside, that glamourizes the idea of a true blue wedding invite which no technology enabled solution can match. And when it comes to Indian weddings, not sending a printed invite is a bit ‘shaan ke khilaaf’ when it comes to close family and far-off relatives. The point of wedding invitations is to make people block their dates for your special day and actually make it to your celebration. You also end up creating a memento and saving a memory in a physical format. So it’s a win-win there. While researching for the latest trends on wedding invitations, we spent a lot of time bucketing over our go-to resource Pinterest. 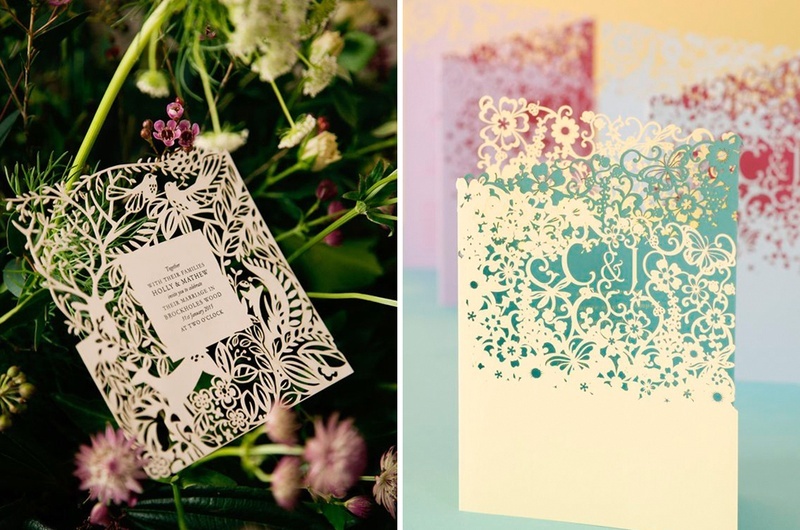 All that we came across were laser cut wedding invitations. Gazillions of them, which made it almost hard for us to choose the best! From simple to intricate styling these laser cut wedding cards are a breath of fresh air, completely unique, lightweight and special in their own way. Whether you’re planning a vintage themed wedding, royal wedding or an elegant Christian wedding, there’s a plethora of designs you can use to impressively announce your wedding. So, this week we bring to you some of the unique inspirations we’ve seen out there for your very special laser cut wedding invite. We have creative wedding invitation vendors on board who can help you create such beautiful masterpiece. You can pick your selection here.